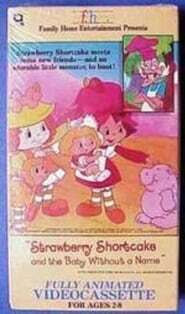 Strawberry Shortcake and the Baby Without a Name chronicles Strawberry Shortcake’s annual summer camping trip, where she and her friends encounter a monster in the woods. The Peculiar Purple Pie Man and Sour Grapes attempt to capture it to become rich and famous. A flea settles into a new dog.